RPR Brighten My Blonde Quad Pack: to illuminate blonde, grey and highlighted hair. 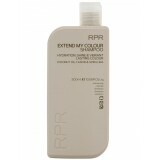 Includes ..
RPR Extend My Colour Quad Pack: a hydrating range to gently cleanse and help extend the vibrancy ..
RPR Fix My Frizz Quad Pack: for smooth hair with shine anti-frizz and anti-humidity. 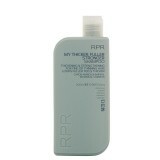 &..
RPR Rejuvenate My Hair Quad Pack: anti-ageing range to strengthen and restore hair with youth..
RPR Thicker, Fuller, Stronger Quad Pack: thickening and strengthening range for fine or thinn..
Revel in smoother, silkier, shinier hair every time you wash with this anti-frizz shampoo. En.. Enjoy thicker, fuller and stronger looking and feeling hair with this stimulatin.. Turn back time with this rejuvenating shampoo to promote more youthful, stronger, smooth.. 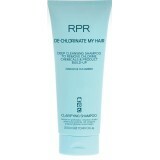 This clarifying shampoo deeply cleanses to rid hair of chlorine, odours, ..